As part of its arts on screen series, Eden Cinemas is today presenting Raphael – the Lord of the Arts, the first-ever film adaptation of Raphael Sanzio and his art (1483-1520). 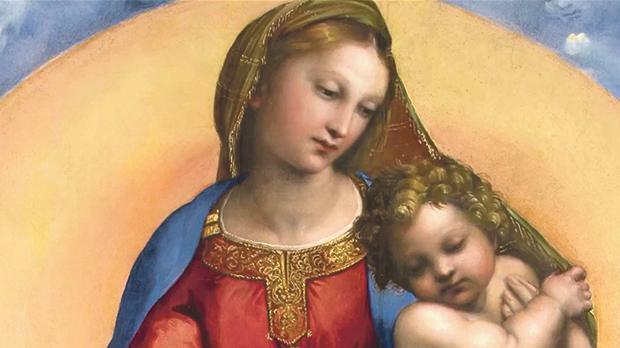 The commentary from experts takes viewers on a journey starting from Urbino (where Raphael was born), through Florence and continuing on to Rome and the Vatican, which both represent the peak of Raphael’s artistic career and its epilogue. Raphael’s life is told through a total of 20 locations and 70 artworks – more than 30 by Raphael – as well as through numerous interviews. Lending his face to Raphael for historical reconstructions is actor and director Flavio Parenti (To Rome With Love, Io sono l’amore, Un Matrimonio). La Fornarina, the woman the artist loved, is played by Angela Curri (La Mafia Uccide Solo d’Estate), with Enrico Lo Verso as Giovanni Santi and Marco Cocci as Pietro Bembo. Set design and costumes are by two of the finest talents in Italian cinema, Francesco Frigeri and Maurizio Millenotti respectively. Raphael: The Lord of the Arts is premiering at the Eden Cinemas in St Julian’s tonight at 8.15pm. It will be showing for a very limited time. For more information and tickets, log on to www.edencinemas.com.mt.